Looking for tips on planning a toddler birthday party? How do you top the milestone event of the first year? Well, this time you have a child who might actually participate in some of the activities you have planned, and you can even consider inviting a few friends. 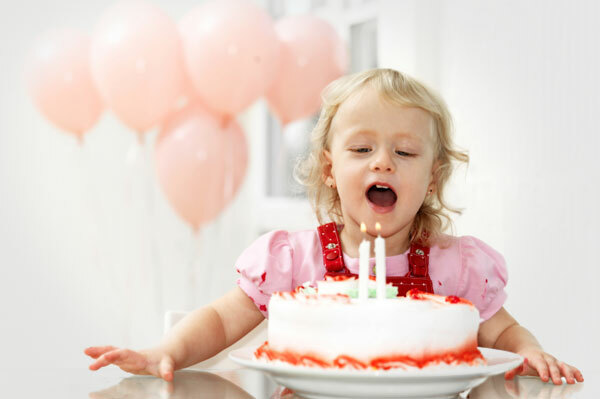 Here are some tried and true tips for planning a successful toddler birthday party. here. Follow our guidelines, and you and your child can both enjoy a great day. to the budget without cutting the fun. child or you’re moving next Tuesday or your house is undergoing major renovations, an outside-the-home party may be necessary. Otherwise, try to have the party at your house. overtired children is never a good one. Aim for a morning party — 10 to 11:30 is great. Ninety minutes is plenty of time, and you can split it into blocks of time for different activities. kids decorate what will become their goody bags. Label each with a name ahead of time. Kids who finish decorating their bags will usually be content to continue coloring on plain paper for at least a few more minutes. the floor for easy cleanup.) You can guide the activity a bit, but let the kids have fun and explore. together, opening the bottom of the piñata and spilling treats for the kids to gather in the bags they decorated earlier. Birthday party themes, recipes, tips and treats!